I just got back from the Mid Century Modern tour in East Austin featuring the work of John Chase. 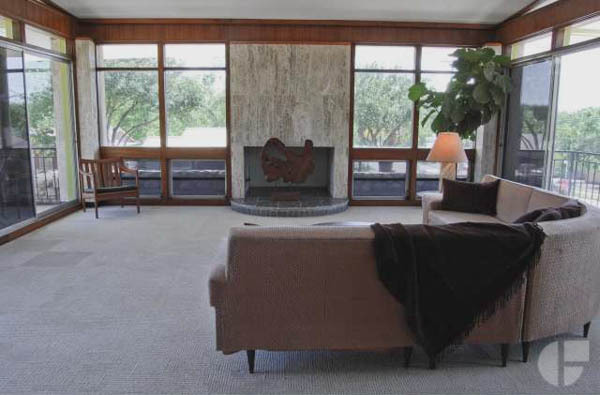 I was blown away on many levels, first to find out that John Chase was the first black Architect in the state of Texas (in 1952) and second to see the amazing Phillips house. It's an ultimate sleeper. From MLK it looks like just another cool MCM home, but the inside feels really special. Unfortunately pictures weren't allowed inside, but I did pull some old ones off the MLS to share. The don't really do the space justice, and the current owners have done a much better job decorating, but at least you'll get the general idea.